What's up? 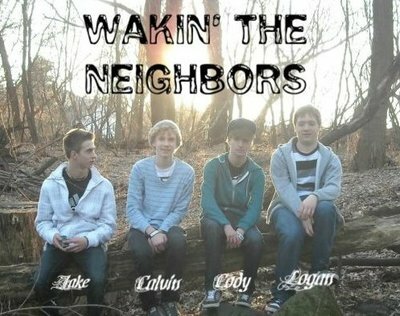 We're Wakin' The Neighbors! Started: Summer of 2010 in Cody's garage. Cody & Logan started out jamming together. Cody was originally on drumset while Logan played guitar. They decided to ask Jake to play drums since they couldn't find a bass player. Cody switched from drums to bass perminatly. Calvin joined the band shortly after providing lead vocals and rhythm guitar. We LOVE to play covers from our favorite bands. 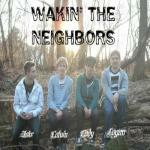 We are just starting to write our own music so hopefully we'll upload it soon for you hear. Battle of the Bands Winners at Sun Prairie High School. Writing new material right now! Definitely will hear originals this summer!